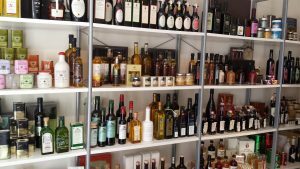 Here is another post in my series looking at extra virgin olive oils taken at random from the marketplace. I am very lucky to have samples of evoo sent to me from time to time direct from the producers and of course these oils are likely to be the very best they produce. So I thought I would have a regular look at what is actually on retail sale in the shops and on dedicated websites. This month I bought three oils one of which was a Spanish own label oil from Sainsbury. The price was a ludicrous £3.99 for a litre bottle and I have to say this was reflected in the taste. However, the oil was not faulty though it did have a cold cabbage-like aroma more reminiscent of rapeseed oil than olive oil. My second oil, bought at HISBE supermarket in Brighton, was an extra virgin oil from a single estate in Crete. It has no great character but is pleasant and easy to use. My third oil this month was DOP Monte Iblei from Marks& Spencer. I reviewed this 2017/18 harvest oil in June last year and was interested to see how it is bearing up with its best before date of October 2019. The answer is very well indeed. The aromas are slightly lighter now but equally appealing and the taste in the mouth is still very good. If only all supermarket oils lasted as well as this one! The label states that this is an extra virgin olive oil from Spain but gives very little extra information. This oil had an unattractive aroma of cold cooked cabbage. 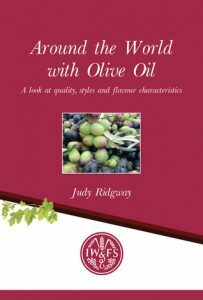 Its flavour, however, was more typical of low cost extra virgin olive oil with quite strong fruity fruit tastes of citrus and tropical fruits. Harsh bitterness with strong pepper took over, making the oil seem somewhat unbalanced. Despite the seemingly economical price I would not recommend it as a very good buy. I should be sorry to think that anyone would think that this is how good olive oil should taste. It is priced at £10.00 for 500ml (£20.00 a litre). The light to medium aromas of this oil offer an attractive, woody/stalky herbaceousness with a touch of apples and citrus. The taste in the mouth is sweet and fruity with very light bitterness and a touch of slowly growing pepper. Overall it is quite gentle but very pleasant. 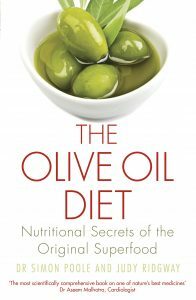 Great for anyone who does not want too strong an oil. This oil is simply labelled as coming from the DOP Monte Iblei region in south eastern Sicily. There was no more information about producer or olive variety. This oil has an attractive aroma of tomatoes on the vine with apples and some greenery. Similar flavour tones continue in the mouth with some bitter herbs, chicory and watercress. Light peppery tones follow on and linger into the after taste of mixed salad leaves. The oil is very well balanced. It remains excellent value for money to use in most culinary applications.